Although the selections may be far from what the public will call “daring,” the New York Film Festival had an intriguing selection from the onset. Though it is the foreign selections that really caught my eye, the NYFF had two of the most anticipated American films of the fall. Their opening night selection “The Darjeeling Limited” directed by Wes Anderson and the festival centerpiece “No Country For Old Men” directed by Joel and Ethan Coen came in with lots of buzz. Anything directed by Anderson seemingly has an immediate following for anyone from the ages of 15-29. “No Country For Old Men” had glowing reviews coming out of the Cannes Film Festival and is considered by many to be a top Oscar contender. What is most interesting in considering the two films side by side is the distinctive styles of each of the films and how the style serves the narrative. 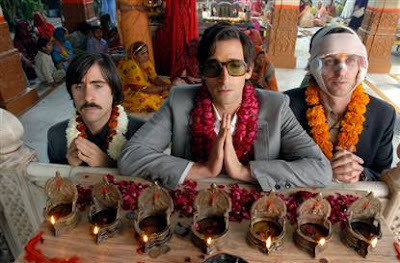 “The Darjeeling Limited” is exactly what the cinematic world has come to expect from Wes Anderson. Each frame is stuffed full of nifty little images, interesting color schemes, and plenty of slow motion scenes with people running to indie pop music. Anderson chooses the landscape of India to set his “spiritual journey,” which is the only change he makes in his aesthetic or, indeed, his entire film. “The Darjeeling Limited” feels like the Wes Anderson that everyone used to find charming on repeat. It may be this regurgitation of his previous films in the new work that makes “The Darjeeling Limited” feel so forced, uninteresting, and inauthentic in its grasping for a higher level. From the opening sequence of the brothers running onto the train, Anderson attempts to use his style and images to draw the audience in, or maybe he just expects his audience to be in love with his style from the onset. Instead of being inventive or profound, Anderson’s aesthetic is immediately overbearing and crushes the rest of the film. Whereas in “Rushmore” and “The Royal Tennenbaums” it seemed like the birth of a provocative young directing, “The Darjeeling Limited” feels amateurish with smug references to Renoir and the short film predecessor “Hotel Chevalier,” stiff unfunny humor, and overwhelming sentimentality. The film wants to take us all on a spiritual journey, yet the characters are all so similarly uninteresting that it is hard to want to follow them to the “higher ground.” Throwing aside their baggage, literally, at the end of the film is a slap in the face to audience. Clearly Anderson wants to tie everything up at the end of the film, which is perfectly fine, but the overt methods given his prior work are demeaning and unnecessary. From the first moment on, “The Darjeeling Limited” is less concerned with the story it is telling than with the way it is telling it. Whereas “The Darjeeling Limited” fails due to its overly stylized tendencies, “No Country For Old Men” showcases the ability of mature directors and actors to blend all of the distinct separate elements of a film into a cohesive and powerful film. The Coens deviate little in their adaptation of Cormac McCarthy’s novel and the choice to follow the text pays great dividends. Considered one of our greatest living writers, McCarthy writes about extreme characters with radical points of view in order to illustrate to the audience, who is constantly living in a middle ground gray area, the destructive power that the extremes hold. Though his view of humanity is downright depressing, the Coens along with their actors create subtle nuances in each camera movement and line of dialogue to establish a sly level of humor that helps the audience survive in between horrific spurts of nihilistic violence. Javier Bardem is utterly frightening and unforgettable as the villain Chigurh, who kills with logic yet no moral conscience- he gives or takes away life at the flip of a quarter. Bardem, too, finds strange moments for humor, as if his hair cut did not do it anyway, which make Chigurh even more despicable. Chigurh is more concerned with keeping his boots clean rather than disposing of dead bodies; he knows that he is indestructible. Just as McCarthy’s character Judge Holden serves as a semblance of pure evil in his masterpiece “Blood Meridian,” Chigurh does the same here. The imagination of the reader can run wild in reading McCarthy’s prose, but seeing the character visualized is chilling. While Chigurh serves the purpose of evil in its purest form, Llewlyn Moss, played by Josh Brolin, is an ordinary guy thrust into this situation. By all accounts, Moss is a good man who wants to protect his family. In his discovery of a briefcase full of drug money, Moss serves on the other extreme of the story as pure good. He faces many moral dilemmas on his journey, but first and foremost comes protection of his family and the people who he loves. The fate of the audience and the common man is displayed by old time local sheriff Ed Tom Bell, played brilliantly by Tommy Lee Jones. It is Ed Tom who realizes the position that Moss is in, yet moves forward as though he has seen this all before. He does his best to protect Moss and his family, but knows that Moss is in way over his head, no matter the efforts of the police or the world as a whole. Ed Tom lives in the real world, apart from the radical sides of good and evil, but even in these gray areas evil has becomes the dominating force. Ed Tom and Moss are both looking for a light at the end of the tunnel, but it is only Ed Tom who tells us that we are all outmatched in the modern world of random acts of despicable violence. The pitch perfect story aside, what is even more of note in considering the faults of “The Darjeeling Limited” countered to the successes of “No Country For Old Men” is in the use of camera and visual style. Though Anderson has a clear sense of what he wants his style to be, it is constantly bloated and unable to carry the story with it. Roger Deakins superb cinematography works not only to complement the story being told, but creates another elusive element to the world of our characters. The vastly still landscape holds the essence of the quiet and calm world that can in an instant turn into extreme violence. Deakins does need to tell the audience that he is flashy for us to recognize his artistry. Just as the Coens shift the tone of the story, the landscape and mood of the camera shifts as well, not just complementing the execution of the story, but involving itself in the telling of the story without the sense of laughable irony in Anderson’s aesthetics. 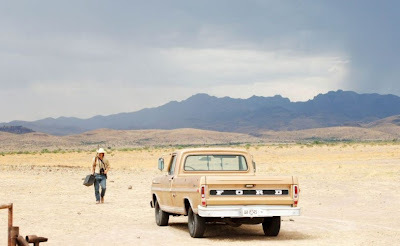 While the two films could not be more variant in terms of storytelling and mood, “No Country For Old Men” serves as the filmic counterpoint to the missteps of “The Darjeeling Limited.” Each move made by the cast and crew of “No Country For Old Men” was taken to serve the world that the Coens and Cormac McCarthy were striving to create. The world of “The Darjeeling Limited” was created before Anderson and his crew even began writing.The crux of great filmmaking comes down to a matter of channeling the talent, ambition, and filmic devices in the right direction. 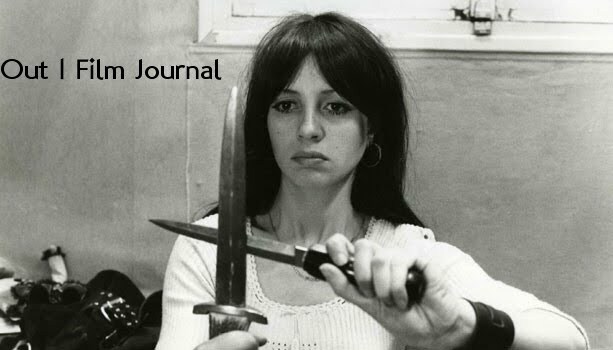 These two main attractions of the New York Film Festival illustrate a path that needs some rethinking and the path that nears perfection.